We carry bits for every stage of training and competition. You’ll find chain, dogbone, gag, lifesaver, port and snaffle bits. 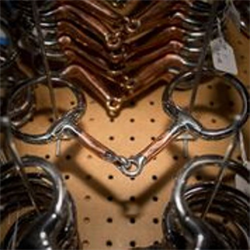 We also carry many types of shanks in a variety of lengths and hackamores.